NO SELFIE CAN TOP THIS. 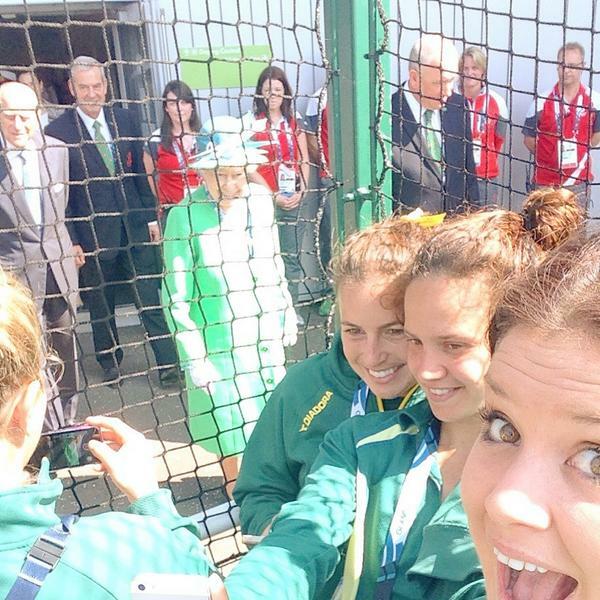 The Queen photobombed a selfie taken by Jayde Taylor and Brooke Peris from the Australian hockey ream. It's a step up from her facial expression last night during the opening ceremony.